Job opportunities in the world of medicine are abundant, and medical assistant positions are no exception. This doesn’t mean, however, that there won’t be competition. Effectively selling yourself to a hiring manager will give you a leg up on other applicants, and the best way to do that is with a solid cover letter. If you are looking for a job in this field, our medical assistant cover letter sample and four industry-specific tips can help you write your own. Regardless of your experience, the information will be helpful for anyone looking to get started creating a strong application that will land interviews in no time. Want to learn the basics first? Have a look at our comprehensive writing guide. The following images show an example cover letter, and its matching resume from the same applicant. Have other career ideas in mind? Take a look at our extensive collection of cover letter examples for help landing your dream job. My name is Sarah, and I saw your job posting on Monster’s job board last night. I’ve been working as a medical assistant for more than 5 years, and I’m in love with this profession. I particularly love being in a position to help people. Your hospital is one of the best for patient care in the Mountain States, and I would be thrilled to contribute to its already stellar reputation. One of the things that helps a medical assistant succeed is the willingness to be flexible. On any given day, we could be asked to perform minor medical procedures, clean the floor, or use EMR software to manage patient histories. I am willing and capable of performing any task thrown at me. I love a challenge, and delight in having a variety of duties from day to day. I’ve read that [TARGET COMPANY] was recently awarded the AHA NOVA Award for excellence in collaborative programs for improving community health. I believe that community outreach is the first step toward making our world a better place, and it’s refreshing to see a healthcare facility as large as [TARGET COMPANY] taking this initiative. 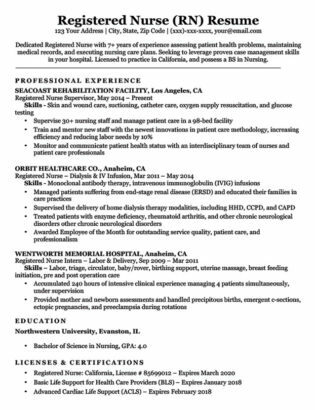 My skills and experience, coupled with my passion for patient care, make me a great fit for your organization. It would be great to meet in person for a face-to-face interview. I am available any day of the week, and can be reached by phone at [PHONE] and email at [EMAIL]. Thank you for your consideration, and I look forward to hearing from you to discuss this opportunity further. Nearly all cover letters follow the same basic format, but there are some things you can do to make yours stand out to prospective employers. Tailor it using the following tips and your chances of scoring an interview will increase significantly. The way you greet someone for the first time is important, as it shapes their first impression of you. This is also true in job applications. Would you like to be addressed with “To Whom It May Concern”? Of course not – we wouldn’t either. It’s too formal and impersonal. Our research indicates that hiring managers feel the same way. “Dear Sir or Madam” is just as bad. If you weren’t born in the 1800s, why write like it? Anything is better than using the same old antiquated greetings of yore. The solution is simple: find out the hiring manager’s name. Sometimes the job posting will list his or her contact information. If not, search the healthcare organization’s website. Look for the name of the department manager or the human resources director. You could also call the office and try to find out that way. Worst case scenario: address the hospital or clinic’s CEO. It seems like an odd choice, but it will show the hiring manager that you’ve made an effort and done some research – and anything is better than using the same old antiquated greetings of yore. The best employees are those that like and care about their work. This is especially true in healthcare. Hiring managers are aware of this, and will be looking for someone who is not only qualified, but also enjoys helping people. Making it clear that you love what you do will give you an edge over other applicants, as you will appear likely to stick around for the long term. Employers love hearing great things about their organizations. Luckily, hospitals and healthcare facilities often receive various awards and recognitions. Make your application stand out by mentioning one of these. Have a look at the organization’s website. Any awards they’ve received will be noted in the recent news or blog section. Recognition for achievements or milestones will also be there. Anything like this will be great to mention, as it will let the hiring manager know that you’ve done some research and are a serious applicant. If you can’t find anything about awards or recognition, look for any updates or news of remodeling to the facilities. The person who reads your cover letter will have read tens, if not hundreds of them. It is tedious work, and for this reason it’s often the little things that stand out. Thanking the hiring manager for their time and/or consideration is an easy thing you can do to set yourself apart from other applicants. It may not make a difference in the end, but you should give the impression that you are respectful, polite, and considerate. This will give you the best chance to make a positive impact with your writing. Now that you you’ve read through our tips and had a look at our sample, you should be ready to write your own cover letter. Still don’t know where to start? We’ve got you covered. 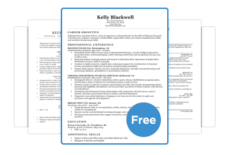 Try our quick and easy cover letter builder so you can get your application off the ground and into the hands of hiring managers. Good luck on the job hunt!